PHARR — A Hidalgo man faces a felony charge after a crash early Sunday morning left one woman dead. 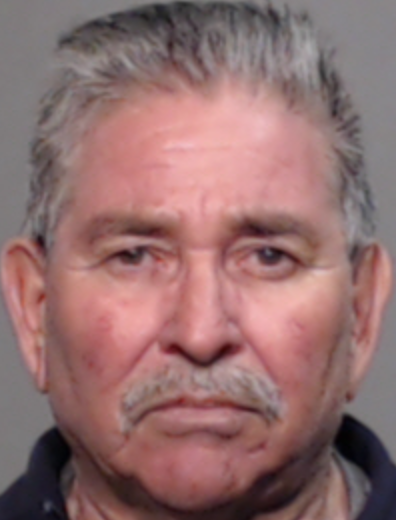 A municipal judge Monday formally arraigned Reynaldo Gomez on one count of accident involving injury or death and set his bond at $100,000, which came a day after Pharr resident Maria Isabel Jimenez, 56, died as a result of injuries she suffered in the crash. Officers responded to the crash at about 7 a.m. Sunday in the 6700 block of South Cage Boulevard. Jimenez was pronounced dead at the scene by a Hidalgo County justice of the peace, according to a news release. Police said Gomez, also 56 years old, crashed into Jimenez with his 2005 Ford Explorer, but additional details, or the cause of the crash, remain unknown. Several calls placed to Pharr police went unreturned as of press time. Gomez’s attorney, Sergio J. Sanchez, confirmed his client’s bond was reduced to $20,000 after he requested it be dropped, considering the circumstances. “I presented to the court that my client has no criminal history, and that there were no drugs or alcohol in his system,” Sanchez said late Monday afternoon. Court staff confirmed Gomez’s bond was reduced from $100,000 to $20,000. As of Monday afternoon, Gomez remained in custody at the county jail but was expected to be released late that night, Sanchez said. If convicted of the charge, a second-degree felony, Gomez could get between two and 20 years in prison.